First Lady Auxilia Mnangagwa yesterday launched a goat rearing project in Masvingo province and donated 1 000 goats to orphanages to kick-start the project in a move aimed at economically empowering the homes. Mrs Mnangagwa unveiled the project at Helen Macghie Primary School during her interaction with children from various schools around the province, teaching them on tradition and cultural practices. She recently launched the #NganonaAmai initiative in Harare, where she invites schoolchildren for story-telling as way of preserving cultural values, which she said defined evolutionary identity and instil moral values. Apart from the goat rearing project, the First Lady handed over an assortment of groceries and blankets to some of the children's homes in Masvingo. "As a way of ensuring sustainable forces of assistance for the homes in this province, I have launched a provincial project through Angel of Hope Foundation which will help generate income and other resources for sustaining these children's homes," she said. "Ndauya neproject iyi yekutanga ndichiiparurira kuno kuMasvingo, project inoita kuti itichingetere vana vari kuma homes. Zvichaita kuti vana vabatsirikane. "I have brought 1 000 goats and they are for all the districts in Masvingo. Minister (Provincial Affairs Minister for Masvingo Province Ezra Chadzamira) vachaona kuti zvafambiswa zvakanaka here." In an interview, some of the officials from the homes who were present thanked the First Lady for helping them with a long lasting solution to their challenges. 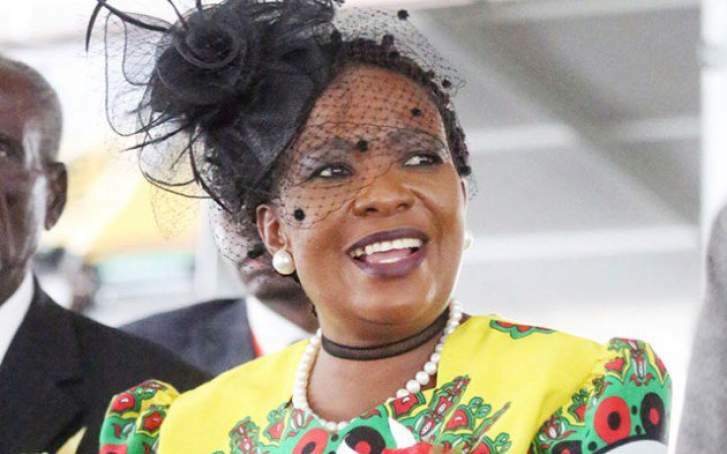 They said Mrs Mnangagwa's kind gesture was in line with her cultural preservation initiative where long back families survived on domestic animals such as goats and cattle. The First Lady emphasised the need for the preservation and generational transmission of cultural values. "I am very happy to be meeting with you here, children in Masvingo, at this story-telling event in promotion of our good traditional culture and values under the support of my organisation —the Angel of Hope Foundation," she said. "In Masvingo, we have the Great Zimbabwe, our cultural heritage that we so much cherish, so if we can preserve and cherish it, it is also important that we preserve our good traditional practices through ngano." The First Lady said folk stories had many benefits that helped reinforce the children's basic listening, grammar and vocabulary skills. "The benefit of story-telling is one way to better develop the mind of our children in their early ages," she said. "Story telling instils virtues in our children, it makes them become aware of their culture and roots, it enhances verbal proficiency, it improves listening skills and encourages creativity and imagination powers. "It is a great tool for sharpening memory, broadening horizon and makes academic learning easier. All these points make a child. The ngano programme, I thought of it as way to strengthen our good traditional practices that we used to do that promoted good behaviour. "We have a traditional culture that we need to preserve and for our children to learn from it." The First Lady told the gathering that she founded Angel of Hope Foundation after she was touched by the plight of disadvantaged children and other vulnerable members of society. "The Angel of Hope Foundation was formed upon realisation that there are so many children in need of assistance and support in shaping up a good child regardless of one's background hence we are gathered here in that same spirit," she said. "Children, you are at the centre of my heart and it is my desire that you grow up well and be empowered in all spheres of life. "Ngano was a very important part of our lives as we were growing up. It provided an opportunity for families to gather together during the evening after a day's work and instill discipline in children. "This was done to ensure that children grew up with good morals, respect for the elderly and at household level, the family had a way of processing food like small grains in order to be able to cook for the family. "The processing exercise involved the use of maturi, rusero, guyo, thereby preserving the nutritional value of the food. Families ate food that was not over processed and was very healthy. We are gathered here today to experience this and learn from it." The First Lady, who was seated on a reed mat throughout the programme, took time to listen to ngano from the children and also taught them the traditional way of living. She toured Helen Macghie School's culture village where children from the various schools showcased their traditional food, utensils and instruments. The children went away with, among other things, food hampers and school material from the First Lady. Mrs Mnangagwa has so far met school children in Harare, Midlands and Masvingo provinces and the programme will spread to the remaining provinces. Minister Chadzamira was among the many officials that attended the function.